Congress is losing a perk. 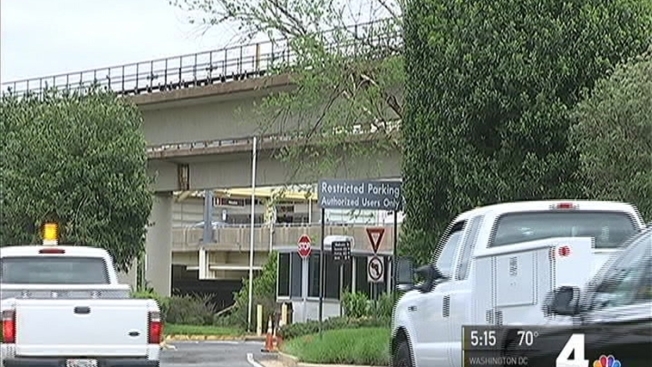 Its VIP parking at Reagan National Airport is being closed for five years. Scott MacFarlane has the story. Congress is losing one of its perks. In June, the Metropolitan Washington Airports Authority (MWAA) will block members of Congress from using 89 VIP parking spaces near Reagan National Airport. Those parking spaces, which are particularly close to the airport's terminal, will be instead be made available to construction crews working on an airport expansion. The parking spots have long been a popular benefit for members of Congress, international diplomats and members of the Supreme Court. The VIP parking spaces to be shuttered are located in a special lot across the street from the airport's parking garage A, separate from the public garages. All 435 members of the U.S. House and all 100 U.S. senators are given passes to use the restricted parking spaces. A similar privilege is extended at Dulles International Airport. "We're closing the 'restricted lot' at Reagan National effective June 30 to make room for adjacent construction of the new security checkpoints," an MWAA spokesman told the News-4 I-Team. "Contractors will use the lot to access the worksite and stage equipment and supplies until 2021." The new construction is part of an infrastructure program called Project Journey, a $1 billion investment to expend the airport for its quickly growing load of passengers. Members of the U.S. House and Senate will retain another airport perk. Federal legislators are permitted to park for free at Reagan National, in garages and lots used by passengers. Records obtained by the I-Team under the Freedom of Information Act show members of Congress used the free parking benefit hundreds of times in 2015, costing taxpayers more than $132,000. "While it may not seem like a major perk, it is still one of the coveted benefits of being a member of Congress," said David Williams of the Taxpayers Protection Alliance. "Now, maybe they will know what it's really like for travelers trying to catch a flight without having special parking privileges. Let's hope this gives them at least them at least a little bit of appreciation for the many inconveniences travelers face every day." According to a U.S. State Department memo, "At Ronald Reagan Washington National Airport (DCA), there is a limited restricted lot adjacent to the South Metrofare Plaza and directly across the street from Public Parking Garage A marked 'Reserved for Congressional, Supreme Court and Diplomatic Corps'.... If the restricted parking lot is full, vehicles bearing diplomatic 'D' license plates and displaying placards may also use any public parking facility. Upon exiting, diplomats are required to sign parking tickets and present their 3 diplomatic identification cards to the parking attendant to be exempt from payment."